Some of you may remember that about six months ago I wrote about Gertrude and Hettie Schoenthal, two of the daughters of Simon Schoenthal, brother of my great-grandfather Isidore. Gertrude had married Jacob Miller in 1898 and moved to Arizona. Jacob and his brothers were merchants in the Tucson area. Gertrude’s younger sister Hettie followed her out there around 1906, where she met her husband Henry Stein and eventually settled as well. 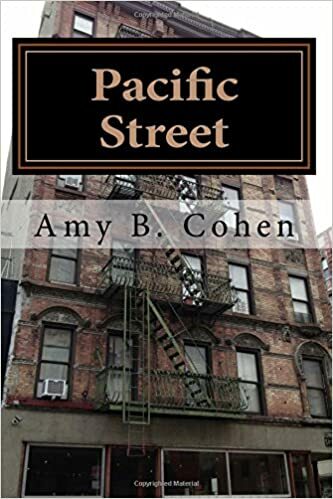 Eventually both the Millers and the Steins moved to the small mining town of Ray, Arizona, where they lived for several years before returning to Atlantic City, where most of the members Schoenthal family were still living. Hettie and her son Walter Stein wrote wonderfully descriptive memoirs of their rough and tumble pioneer life in Ray, Arizona. I quoted extensively from their writings in this blog post. A week ago I was Skyping with Sharon Lippincott, who is married to Ezra Lippincott, grandson of Hettie Schoenthal, and Sharon and Ezra were excited to share with me a photograph that their daughter-in-law had found somewhere on the internet. 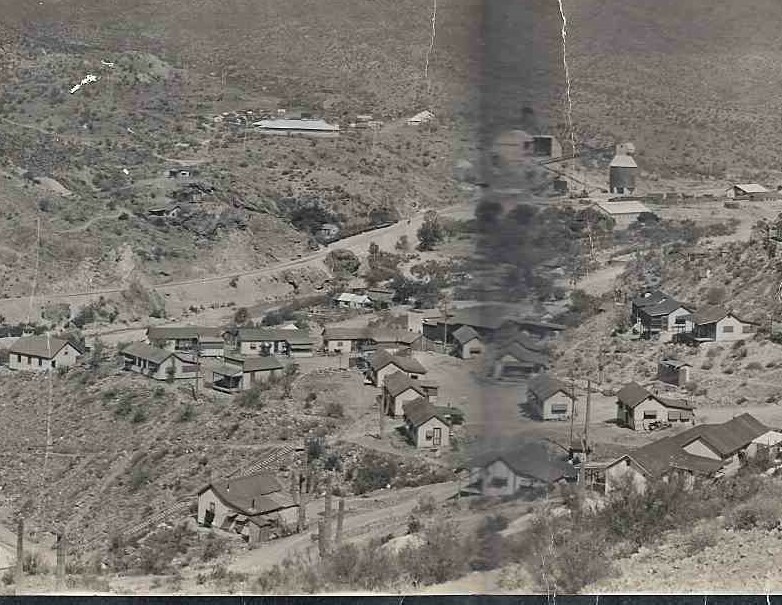 It is a panoramic view of Ray, Arizona, taken in the time that Hettie and her sister Gertrude were living there. 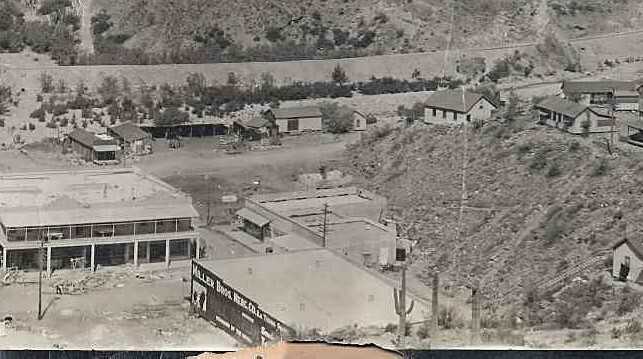 In fact, you can see the Miller Brothers store in the photo if you zoom in to the right side of the picture. Just click, and then click again to zoom in to the photograph to see it more clearly. Our first house was placed on the side of a hill with one door. The back of the house was against the hill. To reach the house you walked up steps that also took care of other householders on the hill. I cannot remember the location of the outhouse. I do remember to bathe, water was heated on the stove and then poured into a galvanized tub that had been placed on the floor. I will tell you a little about the house. It was up on a hill, just four rooms no bath or toilet. It was terrible. I did not think I could live there, but we did. Your grandfather and a helper built a room and we bought a tub. The pipes had to be on top of the ground. Well, the sun was so hot we had to draw the water and let it stand for hours before bathing. In my head I am humming the Final Jeopardy theme song. See the house in the left foreground with the huge cactus in front? I think that’s it. It’s built into the hill, and there is a staircase behind that leads to the other houses. It looks like the outhouse was right in front of the house. My thanks to Ezra and Sharon Lippincott and their daughter-in-law Carrie for sharing the photograph with me. This entry was posted in Arizona, Genealogy, Photos, Schoenthal and tagged Arizona, photographs, Ray Arizona, schoenthal by Amy. Bookmark the permalink. My guess the house in the foreground just to the right of tear which fits the following description: “The back of the house was against the hill.” How’d I do, Alex? Well my guess was the same as yours. Funny thing is I have a Lippincott cousin who lives in Arizona having moved there from PA.
That is strange! Perhaps they are related? We should check! The fellows probably are related, sharing the common ancestors of Richard and Abigail Lippincott, Quakers who fled religious persecution in England in 1663, living in Rhode Island until they settled in New Jersey in 1669. More recently, the Lippincott diaspora has hit Austin. I found 14 households with that name in a web search after moving here from PA. We number one couple among our friends. As for the house, seems like it could be any of the four along the front. Too bad we didn’t find this photo ten years sooner when Walter and Blanche could have pointed it out. Wow, if I had time it would be fun to trace the two families. But for now I have my hands full!! Thanks again, Sharon. This is my third time around! Every time I got to viewing the photo I was interrupted by something or someone. My guess was also the house just above the store. When I was in 5th grade I had to walk up I don’t know how many stairs to get to the top of the hill were the school sat. You get used to it after a few weeks. And I’ve had no time to read your comment! (My six year old grandson is staying with us this week…enough said?) Thanks for the guess–looks like we agree! I cheated and looked at your guess first. But I agree!